To us, true hospitality means having each guest feeling as welcome as if they were staying with a family friend, but with infinite professionalism and attention to detail. 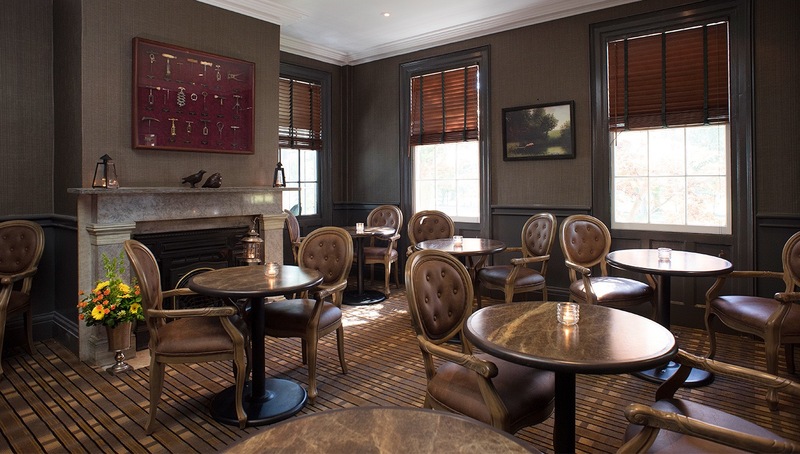 At The Charles Hotel, our surroundings remind us of an era of gracious hospitality every day. 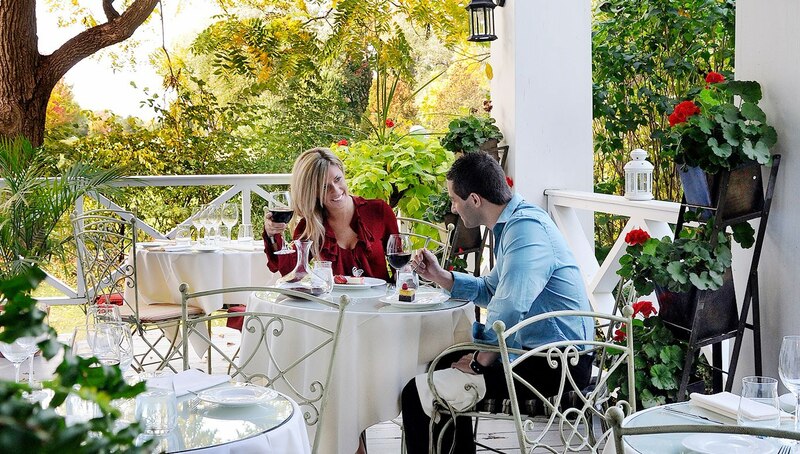 Sheltered from Niagara's crowds, and yet perfectly located to take advantage of all the region has to offer, The Charles Hotel boasts a spacious fenced property with flower gardens, verdant lawns and shade trees. The parlour, the verandah and many of the guest rooms bask in the gentle, dappled light that filters through the boughs. 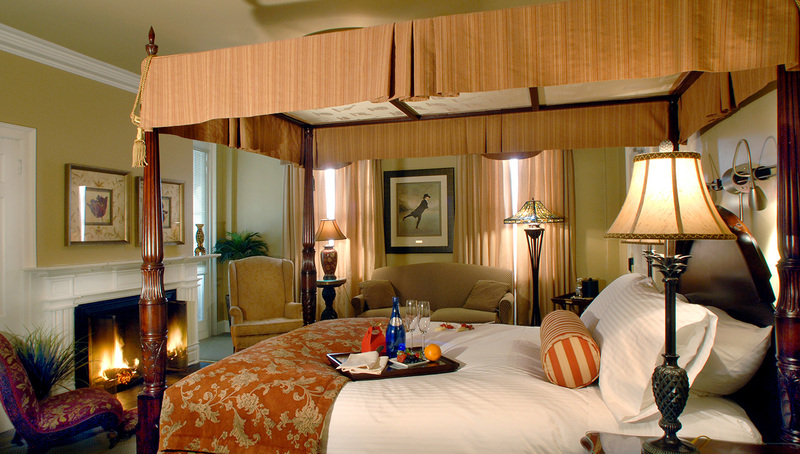 Become one of the lucky visitors who have called this 1832 landmark hotel their home-away-from home in Niagara-on-the-Lake. From elegant original architecture to thoughtful amenities to attentive service, we want every detail of your stay to be just as you imagined. Expect a warm welcome from our gracious staff as soon as you arrive. Let them know what will make your stay perfect and they'll be sure to make it happen. A map marking the area's best wineries? They'll customize one for you on the spot. Reservations at a restaurant with a great patio? You'll just need to show up. A bottle of champagne chilled in your room in the evening? It'll be there. Mention an interest and you will have soon a list of activities in your hands including how to order a to-go picnic basket and where to rent one of our on-site bike. For guests travelling with their pets, The Charles Hotel is pleased to offer dog-friendly rooms. When you finally leave the comfort of the hotel, you're perfectly placed within walking distance to dozens of specialty shops, art galleries, all three Shaw Festival theatres, and the Niagara-on-the-Lake Golf Club — North America's oldest golf course. Plus cyclists and walkers can enjoy the nearby recreation trail, a scenic path along the river. 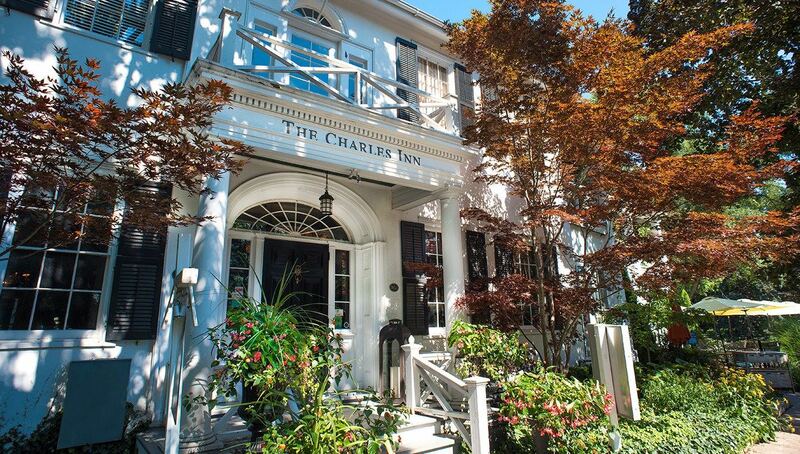 A special stay at The Charles Hotel should be matched by an exceptional meal at one of the top restaurants this renowned culinary region has to offer. 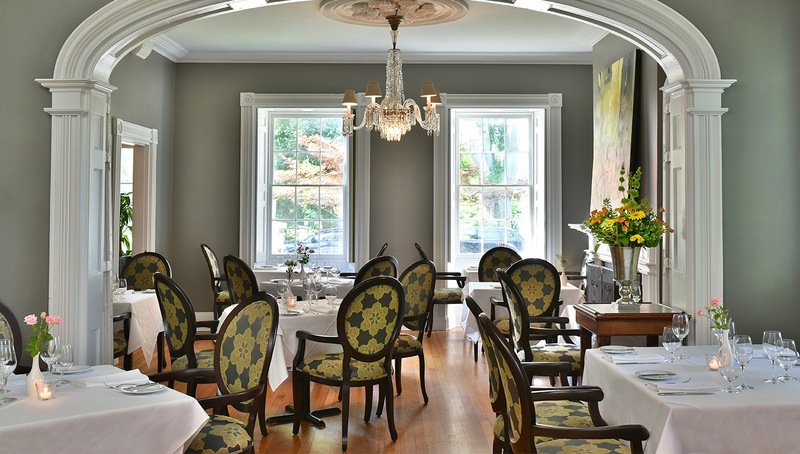 The HobNob Restaurant offers elegant historic charm that guests of The Charles Hotel will appreciate. Whether you're in the mood for an afternoon treat or a multi-course meal, nothing could be more convenient or delightful.